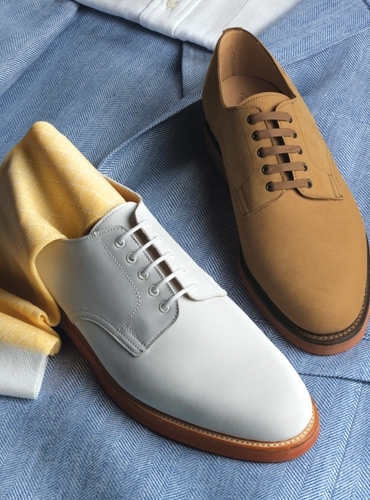 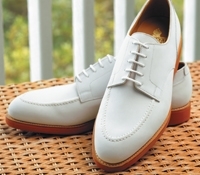 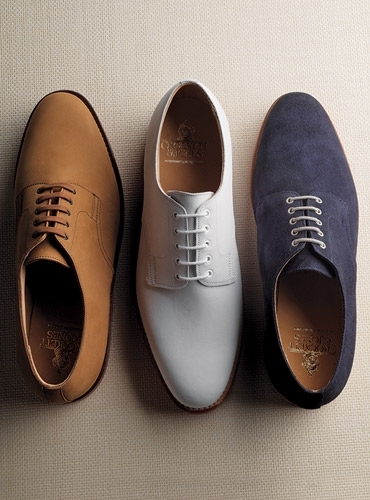 From Crockett & Jones of England, "The Bermuda" is our exclusive blucher style buck in white nubuck leather. 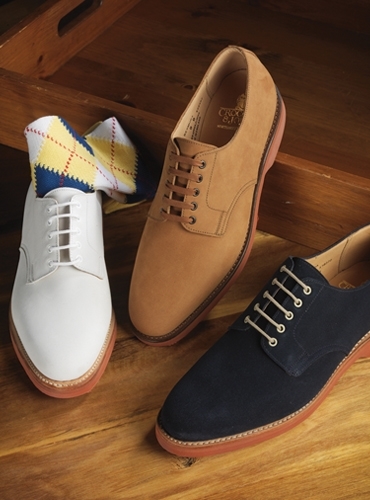 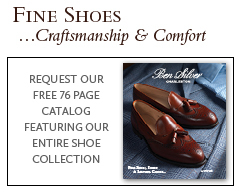 Quality English craftsmanship is met with the styling and comfort of an American classic. 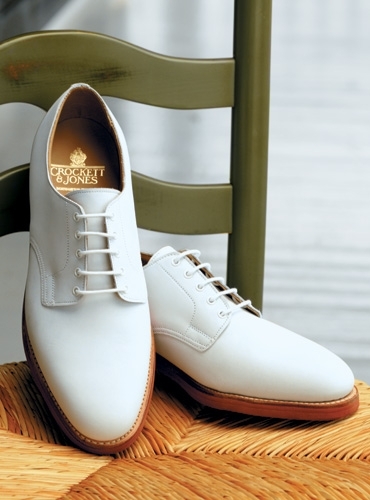 Featuring Goodyear-welted construction and handsome red rubber soles. 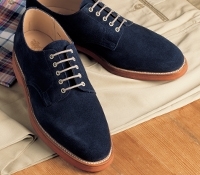 Built on Last 240. 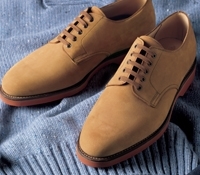 Available in US sizes 8.5-12 D width, with additional sizes available upon request.